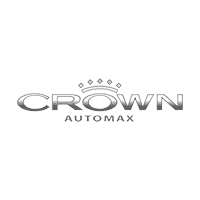 Reasons to Experience the Crown Automax Pre-Owned Experience! The Crown Automax V.I.P. Experience! Call or E-mail us the time you plan to be in, and we will have your desired vehicle ready to go! It will be clean, it will have plenty of gas for your test drive, and we will have your favorite radio stations for you. One-stop shopping.. vehicle sales, accessories personalization, financial services, vehicle maintenance and repair, parts, and collision center all located in one place! Crown Automax is affiliated with numerous lending companies to serve your needs, even if you have no credit or poor credit. Experienced and Dedicated sales, mechanical, and finance staff. The Automax team has 150+ years of combined experience in the retail automobile business! V.I.P. Referral Program. Up to $100 per vehicle in rewards to you for those friends and associates you refer to us that purchase a new or pre-owned vehicle. Let us make your car payments for you! Rigorous Pre-Owned Reconditioning – Before we even think of selling a pre-owned vehicle, the Automax mechanical team makes sure it passes a multipoint FCPP inspection process, as laid out by many manufacturer and warranty inspection reports. The Crown Automax Pre-Owned NO HASSLE PRICE – The Automax staff know that you don’t want to have to negotiate to get a great deal on a pre-owned vehicle. So we have invested in the latest market research technology, to determine that our Everyday Lowest Price Is below that of other dealers. Great Selection of Pre-Owned cars, trucks, SUVs. If we don’t have what you’re looking for, we can source one for you quickly through our large connection of buyers and sellers across the country. Free CARPROOF Vehicle History Report on any Pre-Owned vehicle.